Have you received the following information in the mail? Failure to do so will result in the loss of your Gateway to Better Health benefits. 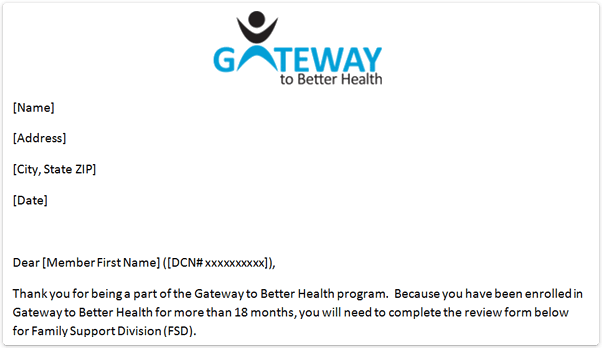 If you have questions about the review form, please call the Gateway to Better Health Call Center at 1-888-513-1417 or your local health center for assistance.